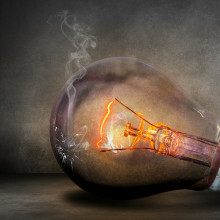 The light bulb is a hundred-year-old technology whose time is finally up. This week, we shine a little light on its replacement to find out what makes it such a compelling alternative and look to the next revolution in lighting. Plus, how scientists are turning to robotics to treat heart failure, the death of NASA astronaut, Gene Cernan and do you really eat spiders while you are asleep? Ellen - This is a sleeve made of rubber with embedded balloons that can contract and beat with the heart to help the heart to pump additional blood the body. The advantage of this type of technology is that the sleeve goes around the outside of the heart and it doesn’t contact the blood like the existing ventricular assisted devices. Chris - Why is it a problem if these devices contact blood? Ellen - Because blood is pumped through foreign materials and in contact with foreign components it can clot, and clotting can lead to events such as stroke. So patients who have these devices are on blood thinners and this medication can itself have complications. Chris - Now tell us about the device then. How is it put in and how does it work? Ellen - The device will be placed around the heart surgically. For the study in our preclinical models we open the chest through the sternum, which is a chest bone, and it is surgically placed around the heart. The device itself is made of silicon, and we’ve embedded artificial muscles that are small contractile elements and we oriented them in a way that mimicked the way the muscle of the heart is organised. So when they contracted you got squeezing motion as well as twisting motion and this is how the heart itself moves, so by mimicking the heart we improve the output. Chris - How do power the device? How do you make it go through those shape changes? Ellen - The elements work by pressurised air that comes from an external pressurised source. We have pressure regulators and valves and these are synchronised to open and close when the heart contracts and relaxes. Chris - So you are effectively applying a pressure to the heart from outside squeezing the blood? It’s a bit like squeezing a cloth in your fist and wringing the water out - it’s sort of doing that to the heart and, therefore, helping it to eject enough blood to go around the body? Ellen - Exactly. As you mentioned, squeezing but also wringing. This twisting really helps and that’s something that’s different to previously described research in this area. Chris - Now, heart failure comes in lots of different flavours and can affect one side of the heart over the other because we have a left side and a right side to the heart which do slightly different jobs. So can your device accommodate all these ranges of heart failure types? Ellen - Yeah, exactly. One of the nice things about our device is it’s quite modular so we can independently accurate or pressurise different sides of the device. We can programme it so that only the left side will contract. 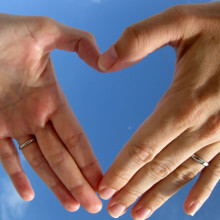 We can also adjust the timing and degree of assistance delivered to the heart and tailor it to specific patient needs. Chris - What sort of performance can you get out of this? I know you’ve only done this preclinically and that means you’re working on things like pigs, doesn’t it? But what sort of performance will it generate? Ellen - In our preclinical models, we used a drug to slow down the heart and to reduce contractility and the output from the main vessel coming from the heart - the flow in the aorta it’s called - reduced down to about 50 percent of healthy function. This simulated the reduction in function that you would typically see in a heart failure patient, and we were able to bring that back up to very close to the healthy baseline level. Chris - How does the heart tolerate having one of these devices in contact with it - does it object to being squeezed from the outside in this way? Could it become bruised and damaged? Ellen - Yeah, that’s a really good question and it’s one we looked at in the paper. At the interface between the device and the heart, there is a risk that you’ll have some friction and damage. So we looked at introducing a hydrogel, a jelly like layer that would sit at the interface of the heart device and reduce the trauma or friction that device could impart on the heart and protect it really. Chris - Is there no alternative to doing this with an external compressed air source? Because, of course, one of the things people are going to find objectionable is having to trail around with tubes and leads coming out of themselves. Ellen - Currently, there are devices that have portable pressurised fluid canisters that can be worn on a belt or a backpack. We used air for this proof of concept study but we could change it to helium which is a lower molecular weight, or we could use fluid like water. Ideally, we’d like to move to an implantable pump and so the less hardware that’s external to the body, as you mentioned, the better. Even in terms of power, eventually it would be nice to move to batteries that could be charged through the skin or transcutaneously… that’s in the future. Peter - Batteries are very common and have been for many years. But these are lithium-ion batteries and these are probably about one per head of population on the globe per year, so many, many billions per year are manufactured and sold. Graihagh - So it’s not just in your smartphone then? Peter - No. It’s in cars, it’s in tools, it’s in laptops. It’s a great energy density for a rechargeable battery. Graihagh - Why is it that they’re so vulnerable to catching fire? Peter - Mainly because we’re wanting the devices to have greater and greater energy density, so we want our phones to be small, we want them to last longer, etc. And because of that you end up with the potential of manufacturing tolerances going wrong - materials being too small or geometry being wrong. The other thing, if you get the charging wrong, you can overcharge one of these devices and they can go wrong and potentially catch fire. Graihagh - When you say ‘overcharge’ you mean literally leave your phone plugged in for too long? Peter - No, no. It’s to do with the charging process. Graihagh - So it’s nothing that the user’s done? Peter - No, no, don’t worry about that. It’s not a problem there. It’s to do with something happening in there which will lead to more gases being produced than it should. Obviously pressure will build up and that could cause some sort of explosion. This is very, very uncommon, we must make absolutely certain that it doesn’t happen often. We’re all carrying these around - I’ve got two in my pocket at the moment and I’m not worried about that at all. Graihagh - How does this fire extinguisher work? Graihagh - I’m imagining it’s not like - I’m thinking about a fire extinguisher like those carbon ones. Peter - It’s actually automatic as well so you don’t have to catch fire and you press a button or something, or an app that switches it on. No it’s nothing like that, it’s actually a material called triphenyl phosphate, which is used for fire suppression anyway, embedded in a little capsule inside the battery. When that reaches 150 degrees Centigrade then it breaks open, releases this TTP material, and it will put it out within half a second or so. Peter - It is, but there’s a big, big downside because this takes up quite a lot of space. So this energy density we’re all wanting will be reduced by this fire extinguisher. Now I’ve got no clue what the proportion is, but it may be something like a third. Graihagh - Okay. So it’s quite a trade off then? Graihagh - Do you envisage this sort of technology going beyond mobile phones - into your laptop, things like that? Peter - Yeah. If we look at cars. Obviously, more and more cars will be electric. There are videos of Tessler catching fire on YouTube. But what they’re doing is they’re much lower energy density, it’s not so important to do that. Also they use individual cells, so if one cells goes it won’t take the whole lot out. There are 150 thousand car fires per year in the States in normal petrol and diesel cars. Peter - That’s very high. It works out because it's a billion miles a year driven. About one fire per 20 million miles for a car and, apparently, it’s five times less than an electric vehicle. So it’s actually safer than an electric vehicle. Graihagh - I guess these things just get publicised a bit more? Peter - Exactly, yeah. We’ll wait and see. 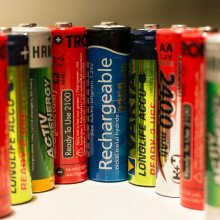 Graihagh - So moving forward, are there any alternative batteries that we could be thinking about? Peter - Well, there are of course things like nuclear power fuel cells of various sorts. The one that I think we probably ought to talk about is ‘energy harvesting.’ This is a concept of taking energy from the air, or from movements. So this is heat from the body, movements of the body. It’s stepping on paving slabs etc. Graihagh - Piezo electrics. That’s what they call that moving around. Peter - This rather cunning piece of technology I’ve got her in front of me which collects radio frequencies from the air. This is from routers, it’s from mobile phones, it’s from the screens we’ve got around us. Even the microphone, my watch, will collect that and will power things with it. It’s quite a big device I’ve got in front of me but it won’t last very long with the amount of energy, but this is the start of energy harvesting generally. Graihagh - So let’s have a look at this. This is what, about the size of the smartphone except it’s very, very thin isn’t it? Peter - It’s a gas sensing device and I can tell you it’s called Cleanspace - It’s a UK company. There are probably thousands of those around the place, particularly inside the M25 monitoring the pollution in the air. There is a battery in there in case it’s not picking up much RF. It will last say for five to ten years, partly charged by the radio frequency in the air. Graihagh - Could we charge our smartphones with things like this? Peter - It would take a very long time. In fact, I’ve worked it out that the energy from this from the manufacturer's data sheet to charge that battery would take 185 thousand years. Now, maybe my calculations wrong. It’s wearables, taking energy from our movement. Another figure I’ve worked out actually - if you were to be powered personally by AA cells - 650 AA cells would run you for a day - that’s a human being. Graihagh - Lots Peter… to power my brain. Peter - Let’s talk to Chris about that. Who’s got the PhD in this room? I haven’t. Collecting energy you wouldn’t miss is the thing. You would miss it of course because you still having to use it but you wouldn’t generally miss it. Do we really snack on arachnids while sleeping? Kat - The land of nod is a mysterious place, and we are blissfully unaware of most things that are happening to us while we sleep. It’s common knowledge that one of the things we do is eat spiders - a remarkably precise eight every year. So where did this idea come from? Topically, given the current media discussions about fake news, it was made up by a journalist back in 1993. According to the myth-busting website Snopes, Lisa Holst wrote an article for the magazine PC Professional, highlighting the way that emails packed with ridiculous made-up facts were being circulated by the gullible and credulous - how times have changed, eh? As part of her piece, Holst presented her own list of totally made up stats, including the one about eating eight spiders. In turn, she got it from a list of common misconceptions about insects in a book published back in 1954. However - and this must be pointed out with some irony - there’s no independent confirmation that Snopes’ story is true either. 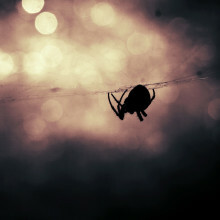 So let’s think about the likelihood of snapping up a spider in your sleep at night. According to Scientific American, which spoke to several spider experts in search of an answer, spiders are more likely to run away from a sleeping human than start exploring us. They’re scared off by vibrations, produced by our heartbeats, breathing and especially snoring, and people are likely to be woken up by the sensation of something crawling on their face before the spider gets into their mouth. However, there are plenty of anecdotal stories of people being bitten by spiders in the night, and also biting back, reporting finding bits of legs between their teeth in the morning. So although we probably do eat the odd spider during a lifetime, it’s impossible to know for sure, or how many. The only way to find out would be the film many people asleep, night after night, then carefully watch the tapes to spot any spiders crawling their way into an open mouth. Not only does that sound like a very boring research project, it’s also more than a bit creepy in itself. If you’re worried about eating spiders or other insects, you’re far more likely to have chomped on them when you’re wide awake, as they’re often found in processed food and one estimate suggests the average person unintentionally eats about half a kilo of insects every year. There are even legal limits on the amount - for example, the US puts a limit of 60 insect fragments per 100 grams of chocolate, in case you’re wondering why your fruit and nut bar is extra crunchy. Finally, rather than worrying about accidentally knocking back a few spiders at night-time, some cultures even make a point of eating arachnids. Fried spiders are a popular street food in the Cambodian town of Skuon, where a species of tarantula the size of your palm is mixed with sugar, salt and garlic and then fried in oil. Apparently, they are crispy on the outside and soft in the middle, tasting a bit like a cross between chicken and fish. Proof - if ever it was needed - that anything can be made edible if you fry it with enough garlic. And while I may never know exactly how many spiders I’ve eaten by accident, I think I’ll give these ones a miss. A look back at Gene Cernan's achievements and hopes for space exploration. Gene - All we’ve done now is proved we can do it, closed the barn door and said be happy about it - that’s not good enough. 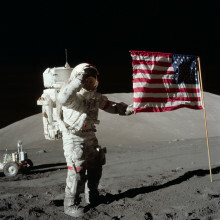 We are going to go back to the Moon and why? All we did was prove we can work and survive up there. Now we’ve got to take advantage of the resources the Moon has to offer us here on this planet. It’s a stepping stone to go to that place called Mars. Is there water? Was there water? Could life exist? Is Mars like Earth was a billion years ago or is Mars like Earth might be a billion years in the future? Maybe we’re going to go simply because it’s there. Simply because we can, and that’s why... we will. Tom - Using the Moon as a stepping stone to explore Mars would help us further our understanding of the Universe and our place within it. But not only that, if humanity is to survive the threats - of dinosaur-killing asteroids, supervolcanoes or even a nuclear war - we need to have a backup home. And Mars is the only candidate so far. With current levels of interest, a mission to Mars may be on the cards sooner rather than later. Gene - I don’t care if it’s two years, ten years or fifty years. I’d like it to be tomorrow morning… it ain't gonna be. But those young kids are going to follow in our footsteps, they’re going to pick up where we left off and take us back out there where we belong. Gene - And as we leave the Moon at Taurus-Littrow, we leave as we came and, God willing, as we shall return: with peace and hope for all mankind. This is a mental illness often associated with teenage girls but new research suggests otherwise. Liz - With mental health problems, I think it’s very difficult to identify the moment that it started. I was a fairly typical case I guess. I was 15, not very happy at home, brother leaves home, a lot of academic pressure, very highly driven, very high standards. But losing a bit of weight became a thing and you had a graph. I used to like plotting the numbers and, if the numbers didn’t go down, then that was a bad day. So everything good or bad became associated with this graph, regardless of my size, that was almost immaterial. What starts as something every so often, then becomes all the time, and then become an addiction. And at that point, even if you don’t want to exhibit these behaviours, even if you don’t want to behave that way you still will, because that’s what you do. Graihagh - Was there a point for you where you just thought this is it, I’ve gone too far and I need help or, what was that turning point for you? Liz - For me, as with many people, there were probably many points like that. That’s one the frustrating things with addiction, isn’t it? You have those moments where you go right, I’m going to sort this out, I’m going to put lists on fridges and I’m going to… and then you don’t. You do for a while and then you have a relapse and every time that happens you think 'damn it, I was not going to do this.' I was going to be determined and then that knocks you even further down. Then, for whatever reason, you wake up feeling stronger and you go right, I’m going to sort this out. So I think you have to be prepared, one has to be prepared in the recovery process for these relapses to occur and not to get lower and lower down. I had three children during this time - not when I was 15 I hasten to add. This continued until I was 30 - 30’s often quite a turning point for people. So I looked well, and I appeared to be functioning well, and I got a degree from Cambridge and I was making films and TV programmes. I had young kids, I was looking after them but to anybody in the outside world, I was very well. But I think the real crunch came for me when my youngest was about one or one and a half and just one day in my kitchen I nearly died standing right there. I can remember feeling this ice cold, freezing, that was it. Richard - They affect about 725 thousand men and women of all ages and backgrounds in the UK. It’s not just this stereotype that people have of young middle-class teenage girls going through a phase or doing it to look good. These are serious mental illnesses which can impact on anybody. Graihagh - Now Liz described her experience of bulimia. She had bulimia for 15 years but, amazingly, she was functional still, she had three children. But my understanding is that eating disorders actually claim more lives than any other mental illness like depression or psychosis. Richard - Yeah, absolutely. Anorexia nervosa has the highest mortality rate out of any mental illness out there. These are illnesses that can really destroy someone’s life and impact greatly on the family of that person as well. Graihagh - Because this study published recently in the BMC is looking for the first time, which I find very staggering, about the prevalence of eating disorders in women across all ages, particularly in their 40s and 50s, and I was surprised at some of the statistics in that. It was 15 percent of women had had an eating disorder at some point in their life and 3.6 percent were currently struggling with one now. Is this something that you were surprised by? Richard - Well first I’d like to say we wholeheartedly welcome this research. There’s not enough research into this and this is actually really important and exciting research. This figure of 15 percent of women having an eating disorder at some point in their life and 3 percent currently suffering is actually quite alarming but it’s not something we’re particularly surprised by. Beat run a helpline which is open 365 days a year and last year, 15 percent of our calls to the helpline were about someone over the age of 40. This research further supports the importance of providing an appropriate treatment pathway for individuals with eating disorders all ages. 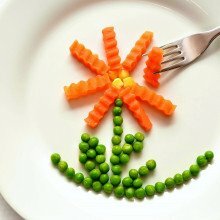 Because, at the moment, the focus is very much on helping young people out, and people in their later years or who are in midlife find it very hard to get the treatment they need for their eating disorder. Graihagh - What is the treatment for it? How do you get better or recover from something like this? Richard - Recovery is hard but it’s possible and it’s incredibly worth it. Generally, it’s going to be a form of talking therapy and people can start thinking about the reasons behind their behaviours. Graihagh - Because the sad fact is, and this is something the paper highlights, is that those who reported having an eating disorder, less than a third of them actually sought any help. I just wonder why is that, what is the barrier there for people getting what they really deserve and need? Richard - I think in this population that we’re talking about, they can find it almost embarrassing to go to a GP and say that you have this illness which is wrongly associated to be a teenage girl’s illness, and I think there can be a lot of shame or embarrassment around that. Graihagh - Liz, despite all the stigmatising and stereotyping, did seek help and turned her experience into something positive - a website. Liz - Headcase came out of all of my experiences of different types of mental health problems, whether it be eating disorders when I was younger. When I was in my 30s I had panic attacks and then I had a breakdown in my early 40s and what I found, every time I talked about it that person would say “I had that too” or “my mum had that,” “my friend had it,” “there’s a guy at work who has that.” It really began to strike me that this stuff is everywhere! Mental health issues affect absolutely everybody, and if it’s not you, it’s someone you know. It’s part of your life and for as long as we keep it as something weird, it will be associated like that. I want people to wear the Headcase badges and stand up and say, “yeah, I look after my head. I’ve got literally no problem with that at all.” If I’ve got a sore knee I get it seen to. If I’m feeling anxious, jumpy, panicky, freaked out in any way, I will go and find some help about that. I acknowledge that and I’ll look after my head just as well as I look after my body. It started with fire, then light bulbs and now LEDs but how did this come about? Colin - I guess our love affair with light started about 400 thousand years ago when Homo erectus, who preceded Homo sapiens who is us, they started lighting these campfires for heat, and also for cooking, and to scare off wild animals, and also for light. And then people thought it would be really nice to have a portable source of light but we have to wait until 1750 BC for the Babylonians and the Egyptians to have oil lamps. They had sesame seed oil lamps and it took 50 hours of the average worker to get enough money to buy the oil for 1 hour of light so it was really valuable stuff. Then if you come up to about 1800 AD when we had candles and you had to work about 6 hours there to get 1 hour of light so that you could buy the candles. Then if you come up nearer to this time you had kerosene lamps and then incandescent light bulbs. And with all of these you had heated sources and light was a byproduct of the heat. Now we’ve got LEDs and they’re really important because it’s the first light source which doesn’t depend on heat to get the light and in fact today, you have to 0.6 seconds to get an hour of light. So it’s just a huge increase in efficiency and I haven’t worked it out but is about 64 thousand times to go from 1880 to today. But, basically. LEDs they’re very, very efficient because they give out very little heat and light is what they’re really giving out. Chris - So just to clarify the point you’re making which is that if you look at say and Edisonian light bulb, this thing we plug into the ceiling with a piece of tungsten filament that glows. We’re putting electricity through that, we’re making it get white hot, glow a few thousand degrees and it’s that glowing that’s giving us some light. But only about 15 percent of the electricity we put in turns into anything you can see, the majority of it is just light you can’t see - it’s infrared heat? Chris - … even worse than I said. Colin - 5 percent comes out of light and 95 percent is heat. The LEDs we have today are about 35 percent efficient. But in the lab, we have LEDs which are 75 percent efficient for light and those LEDs will be working their way into the marketplace in the next few years. Chris - I was going to say if you’ve got these lamps and they’re 75 percent efficient, that’s 100 percent better than what’s on the market at the moment. Why are they not on the shelves? Colin - Well, it takes a bit of time for the researcher to get it out into the marketplace - we’re running hard! Chris - So how have you got a doubling in the efficiency? Colin - It’s really a lot of research on the details and some major breakthroughs. And the other thing which is happening is the reduction in costs, which is really important. One thing that we’ve done is to grow LEDs on silicon. Other people are growing LEDs on sapphire wafers, the ones you buy in a shop, and that’s very expensive sapphire. We’ve developed ours growing on silicon and, as you say, we’ve set up a couple of companies in Cambridge. 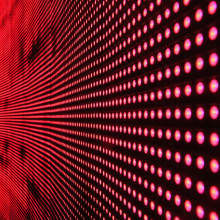 They got acquired by Plessey, a UK Company, and Plessey is making the first LEDs on silicon in the world and the first LEDs in the UK at all. Chris - We’ve got a little demo here to demonstrate and put into reality the points you’re making about the efficiency, we’ve got here a hand crank which has got a drill motor from a DC electric drill in it. When you turn the crank you're obviously turning the motor which then generates some electricity and wired up to it are some LED lights and some old fashioned tungsten lights. So I’m going to turn the handle, and you can switch me on and we’ll do the LEDs first. I’m going to demonstrate really how hard it is or not to do this. So let’s start. I’ll start turning if you could load me up with some LEDs first. Chris - Now if I’m honest, it was really easy and I got these two LED bulbs, the kind of thing you’d see in the ceiling of your house and they are bright lights and I’ve now got white spots all over my eyes from doing that. It was really easy to do that. Chris - Okay, so we’ll turn this on...Oh, God!... Okay, you’ve made your point. I’m actually out of breath from doing that. It’s very, very difficult to turn the crank. Is that because they’re using so much more energy in order to make the same...because they were equivalently bright to the LEDs? I had to wind it a lot harder, though. Colin - That is right. So these take so much more energy to light up than the LED bulb, so the LEDs are a really very efficient source of light. 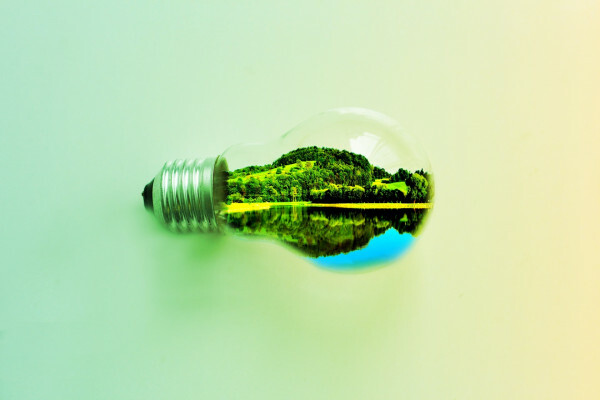 Chris - If we were to translate that into carbon equivalents, in other words, carbon dioxide that we’re not emitting because we’re turning far more of the electricity into visible light than heat, how much carbon are we saving by using LEDs in our homes? Colin - Lighting takes about 20 percent of all electricity. It’s much more than people think. With the LED lighting that comes down to 10 percent and with the future will come down to 5 percent. At the moment we’re saving 10 percent of all that electricity and carbon emissions from power stations. In the future, we’ll be saving 15 percent with LEDs in carbon emissions from power stations. That’s a lot of carbon dioxide. Chris - It’s a lot of wasted energy at the moment, isn’t it? Colin - It is. Absolutely, yes. 15 percent is what you’re going to get probably from solar and wind power combined, so it’s really important. 32:29 - How do LEDs work? How and why are they so much more efficient than a standard light bulb? Mari - A body clock is the internal biological clock that helps us keep our 24-hour cycle and we need that to have our day and night routines. This body clock is actually controlled by the suprachiasmatic nucleus in the brain helping us keep our circadian rhythm. Graihagh - How is it affected by light? Mari - Light is really important to set this body clock. So what it does, in short, is when the eye signals that it’s dark the suprachiasmatic nucleus starts the production of melatonin and that’s the sleep hormone. It’s very important to have good sleep. In the same way as in the morning, the light suppresses the body’s production of melatonin. So, essentially, light keeps us on a good day and night rhythm. Graihagh - What about different types of light? I’m thinking bluer light, brighter white light and even red light, do they all have a different way in which they interact with our body clocks? Mari - All light affects melatonin and our body clocks but we know that the LED lighting is even more efficient in that sense so it has a stronger effect on our melatonin production than the other light sources. So what happens is if you have bright light, for example, LED lighting in the evening, you actually delay your circadian rhythm and, instead of being sleepy and going to bed, you feel more alert and you can often end up with too short sleep. Graihagh - That doesn’t sound like the end of the world - a little bit of lost sleep. Is that really that dangerous or that bad? Mari - Well, of course, everyone has a bad night’s sleep every once in awhile and that’s not dangerous. 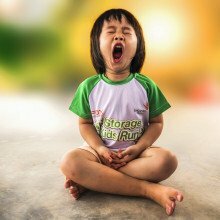 But we do know that insufficient sleep over a long period of time is associated with poor mental and physical health. For instance, we know that if you just have a few hours of sleep you are easily irritated, more worried. I think everyone can relate to that but we also know that, for instance, it’s related to depression in the long run. Another example that we’ve been studying here in Bergen is that if you have short sleep duration, and this was among adolescents, we found that they have poor school performance compared to others. And maybe that’s not surprising when we know that sleep is important for memory and concentration, for instance. Graihagh - So that was in students that were, presumably, using smartphones and tablets late at night and it was delaying this production of melatonin and, therefore, they were getting to sleep later and still waking up at that same time and they have worse grades? How much worse were they? Mari - They were significantly worse in the Norwegian grading system, but what we found is that the students between 16 and 18 that went to sleep between 10 and 11, they had far better grades. Graihagh - So was it as simple as not using screens later at night then? Mari - Well I guess that’s one solution. Another thing you can do is at least try to log off the last hour before you go to sleep. If you’re not able to log off all the way, there are some of the screens now that you can turn off some of the blue light, so the LED lighting so that at least you have more dim lighting and a light that doesn’t affect your sleep in the same way. Graihagh - Fantastic. Colin, I just wanted to ask you what the world of LEDs is doing about it? If LEDs are giving off this blue light, yes, we’re putting off this phosphor ping pong balls over the top but there’s still some blue light coming out there. So what are they doing in your industry to compensate for that? Colin - The receptors in the eyes are most sensitive to the blue light, so the blue light is the problem as you say. So we want to mimic natural sunlight and what we’re trying to do now is instead of having the phosphor, we want to make white light using red, green and blue LEDs, so that’s the obvious way to do it. We haven’t done that so far because green is very inefficient but, if we push the efficiency of green up, it’s called ‘the green gap problem,’ then we’ll have red, green and blue LEDs and people will be able to control the colour quality just as they want. So, if they want a romantic supper, you can have a reddish white light. Graihagh - Colin, you mention the green gap that these green LEDs are just inefficient in comparison to the blue and red. Why is that? Colin - Well, they’re more inefficient because to get the green light out, you have to grow at a lower temperature than getting the blue light out, and when you’ve got a lower temperature you have more defects in the crystal, impurities and defects and that quenches the light emission so they’re less efficient. Graihagh - So this is like when Tom went to go and see Rachel and they talked about the electrons combining with the hole like the Labyrinth game? Graihagh - If there are more problems with the structure, then those electrons don’t meet those holes and you don’t produce the light? Colin - Yeah. The electrons actually go to defects and the holes go to the defects. They don’t combine properly and they don’t give out the light. They give out heat actually rather than light. Graihagh - Which is exactly what we don’t want! Colin - But the interesting news is, and this is this week's work right, if you form gallium nitride with a different atomic arrangement, different crystal structure, then we think we can solve this green gap problem. We’re just doing this now so it’s for a future broadcast. But we can see really brilliant green light coming out of this and we just have to measure the efficiency which we haven’t yet done, but within the next four weeks, we’ll do that. Colin - So we think we may have solved this problem. This is really up to date. Steve - You could imagine you could have one blue light source per house and, rather than run your light around with copper wires, you could route the light with plastic or glass fibre optics through the rest of the house and then convert it to white light whenever you need it. And, therefore, you could drop a lot of the cabling needed for lighting but you could also imagine a very different looking lighting fixtures. You don’t need big bulky metal fixtures anymore, you would need very small sources or you could even think about weaving fabric into the curtains or the ceiling to get a distributed effect. Chris - So we’re talking about the death of Edison's dream really aren’t we? We’re saying this is the end of the light bulb as we know it - we don’t need that technology anymore. We just need to build fixtures and fittings that could take a fibre optic input, driven by a laser which could be hundreds of feet away elsewhere in the building and the light arrives in a tube called a fibre optic, goes into that surface, and the whole wall or the whole ceiling or, even as you say, your curtains glow and that illuminates the room. Steve - Yeah, that’s right. We think this gives the designer a lot of freedom. But I will point out you can actually see laser lighting today already in Europe. It turns out that BMW and Audi have already released a high-end automobiles with laser headlights because it’s so bright and efficient at directed light as well. I think there’s more than a thousand cars already on the roads in Europe using this laser lighting technology. Chris - Why do you think that running fibre optics round your house and bringing the light in as light rather than electricity in a copper wire is better? Steve - Yeah, that’s a good point. The fibre optic cable could be extremely small - we’re talking here less than a millimetre. So you don’t need to waste a lot of copper material which, as you know, is expensive but also you could potentially get an electrical shock. So it just lets you make lighting fixtures that are much smaller. In existing buildings, they allocate almost a foot for all this cabling and fixturing. I mainly think is a way to just not only design cool fixtures but save on the cabling, materials cost, and metals associated with that as well. Chris - With an eye on the whole concept of the internet of things, we talked in a recent edition of the Naked Scientists about the concept of li-fi (your connection to the internet being by visual signals from light bulbs), could you use this as an extension of that? Could people connect to the internet, download data by their wall flashing imperceptibly at them? Steve - Well, I’m impressed, because you already made the connection that we’ve been working on research only for two years in a hard way that is. I think there’s been some work in the UK. I think Professor Harold Hoss has been doing li-fi with LEDs, but we can do the same thing with laser lighting. In fact, we’ve already done that and we’ve demonstrated communication speeds more than 100 times faster than you can do with the traditional LED li-fi bulbs you have in the store, that is. We are able to transmit 5gb per second. So just to give you some sense, that is getting up into the same speed you’d use in a fibre optic cable. Chris - Is this safe, Steve? If I’ve got fibre optics running around my property and they’re full of extremely intense coherent blue laser light, if I were to accidentally chop that into that, now I wouldn’t get an electric shock, but I could blind myself couldn’t I? Steve - Yes, so we really need to develop failsafe optical systems and sensors. On a very high level, I’ll just tell you some of the safety schemes we are working on is that if the cable is cut, within nanoseconds the cable is able to sense that it’s actually been cut and it immediately shuts off the laser. Chris - How long is it going to be, do you think, before it’s de rigueur to walk into your lounge and you will flick on a switch which won’t activate a light bulb in a ceiling, it will make the ceiling glow and the curtains illuminate? 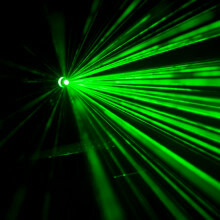 Steve - It’s going to take a decade, I think, to really make laser lighting commonplace. However, it’s already showing up in automotive lighting and even in cinema displays in Asia. Chris - Well, that’s interesting isn’t it? So, if your internet connection comes through your sofa, does that make you a couch surfer I wonder? That was Steve DenBaars from the University of California, Santa Barbara, thank you very much and thank you to him. Also with us this week is Colin Humphreys. Do you fancy the idea of curtains illuminating your room from a laser source colin - what do you think? Colin - You could have a whole wall of illumination in the room which might be interesting and we can, in fact, use an LED to do this as well. So a laser may be slightly more powerful but the LEDS you can use. In fact, in museums, they’re using this to illuminate cabinets so you don’t the fibres coming and they’re LEDs on the end. Chris - Graihagh, do you like the idea of a sofa that illuminates the room? Graihagh - I just can’t really imagine it. That or a glow in the dark curtain. I don’t really see the attraction in that rather than just having a regular light. What is the attraction? Chris - I think the point is we design rooms at the moment with light sources being in the ceiling in a central point. You get dark shadowy corners and it’s dictating how room are formatted and if you actually had a light coming from all different kinds of places, it would allow designers a lot more freedom. Graihagh - I suppose it might seem quite more natural as well. Chris - It could do because it would mean that the room didn’t have dark corners anymore. 50:43 - Can ants feel pain? 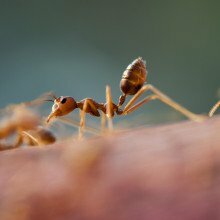 Eleanor - Ants can definitely sense that they’ve been harmed and react, but It’s been argued that there is a difference, however between simply sensing harm and reacting to it OR actually experiencing pain. Just sensing damage but feeling no pain is what’s known as nociception. Eleanor - It’s worth just thinking about what pain is: it’s thought to involve an unpleasant sensation as well as a negative emotional reaction to injury. You get nociception, which is the sensory nervous system informing the brain that you’ve been hurt, then the brain processes this to produce pain. But you can get one without the other. You can think about it like this- if you get tackled while doing sport, your sensory receptors may signal to the brain that something has happened, but it’s only when you stop and realise how bad the injury is that you feel the pain. On the other hand, people who have lost a limb may experience phantom limb pain, in which they experience pain, but without nociception. Tom - So we know that ants can sense harm and react to it - which is to say they experience nociception - but what about actual pain? Eleanor - Interestingly, claims for the idea that insects can experience nociception without experiencing pain, comes from studies on robots. Robots can be programmed to exhibit behaviours that we would tend to think of as pain-like, for example Simroid robots used for dentist training will flinch if you poke them, or in games like The Sims, characters may jump around if they’ve been burnt. The fact that these behaviours can be programmed, without the need for a pain element, has been argued as evidence for the idea that a negative stimulus can be reacted to without the emotional element. Tom - Are you saying that ants experience pain in the same way as The Sims? Eleanor - Not exactly… my personal view is that unlike the human systems that these programs mimic, we currently know very little about insect expressions of pain, and even less about the neural systems of the many different species of insect that there are. We do know there are differences between insect and mammalian neural systems, so it is unlikely that insects experience pain in the same way that humans do, however, I don’t think it is beyond the bounds of possibility that at least some species have an insect version of pain, in addition to nociception. So basically the jury is out! Either way it’s still good to be gentle with the little critters when you come across them! Tim - Is there any explanation why the magnetic field of earth is north-south, as opposed to east-west, or any other angle?